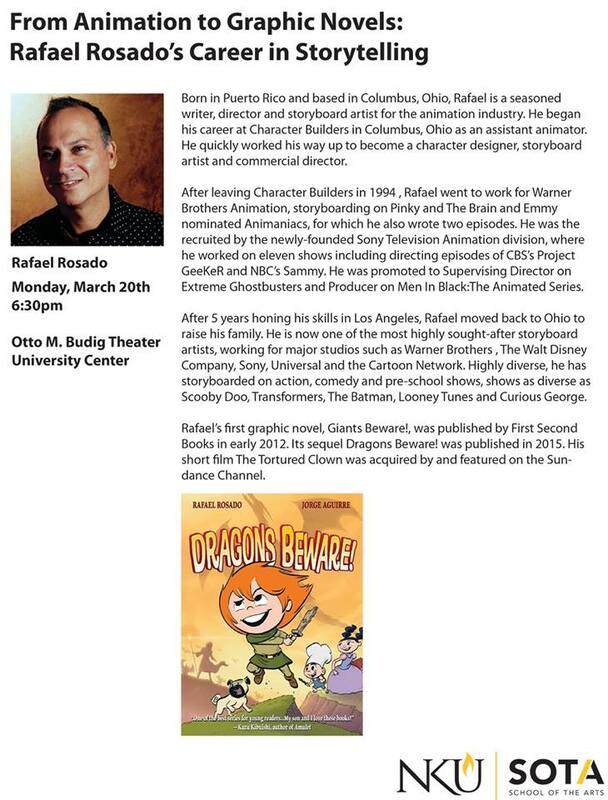 Check out Rafael Rosado's talk Monday, March 20th at 6:30 at Otto M. Budig Theater at NKU! This is a great chance to see how someone has managed to have a successful career in animation while living in Ohio. He is an amazing illustrator and animator. He has storyboarded shows as diverse as Scooby Doo, Transformers, The Batman, Looney Tunes, Curious George and many others. He also illustrates graphic novels!